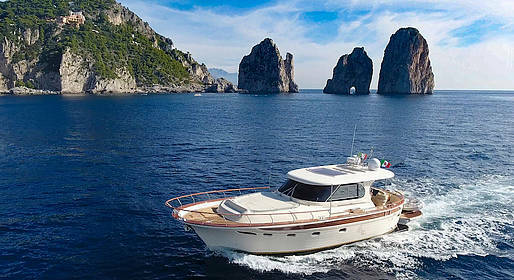 A full day on the sea off Capri on board a luxury gozzo boat to discover the beauties of the island, from the Faraglioni to the Blue Grotto. Sail past Marina Piccola and the Punta Carena lighthouse, and disembark for a walk through the Piazzetta, if you choose! This tour lasts aruond 8 hours with departure between 10 and 11am (unless othewise arranged). Tours can depart from Sorrento, Positano, and Amalfi. The gozzo boat has a bathroom, life jackets, and safety equipment on board.